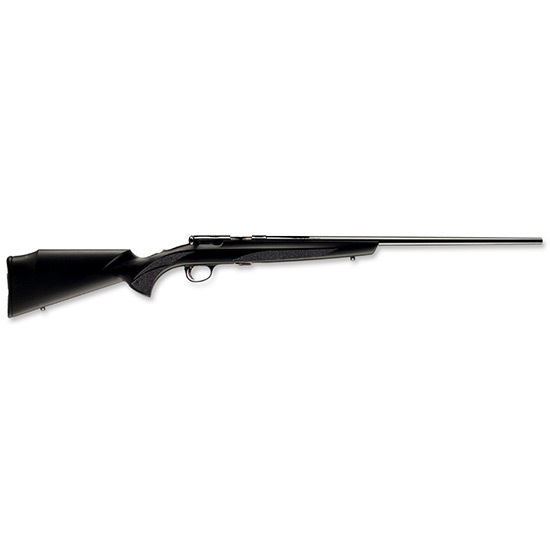 Browning 025179270 T-Bolt Composite Sporter Bolt 17 Hornady Magnum Rimfire (HMR) 22 10+1 Synthetic Black Stock Blued in. The Composite Sporter features a matte black finished stock made of a durable composite. It has a magazine storage in the buttstock. Additional features include a blue steel receiver drilled and tapped for scope mounts free floating semi match chamber barrel and sling swivel studs.